Groups of 8 or more get $5 off tickets; email tickets@freshinktheatre.org for more information. On a Mars colony built to sustain the future of human life, homesick immigrants look to reconnect with the Earth in any way they can: virtual reality, factory-made-nostalgia-based cookies, and giant murals of automobiles. But a new generation of young Martians want to leave the past behind and carve out a culture for themselves, even if it means they have to fight for it. In The Earth Room, the snow is artificial, but the challenges of the future have never been more real. This show runs approximately 1 hour and 45 min. Post Show Social following the opening performance on Saturday 5/4. Toast opening night with the cast and creative team! Playwright's Night on Thursdays, 5/9 and 5/16 - Half-Price tickets when purchased in advance with code FITMARGE50; Join us for a conversation with the playwright following the performance! CLICK HERE for directions to Boston Playwrights' Theatre. Kiara Caridad Stewart (Malia) is excited to be making her Fresh Ink debut with The Earth Room. She is currently a first-year student at Suffolk University pursuing a major in Theatre. 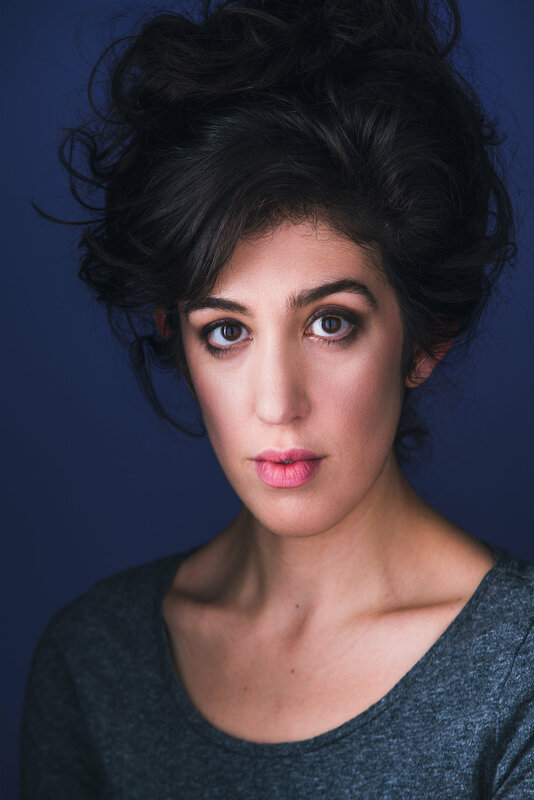 Her recent credits include Paciencia (Sullivan Studio Theatre), Loss of Breath (Modern Theatre), and is currently in Anna Kohler’s production of Everybody (Modern Theatre). Kiara also speaks Spanish fluently and is conversational in both ASL and Portuguese. She’d like to thank her family for their unwavering love and support and her acting professors for their guidance. Grace Trapnell (Ari) is delighted to be taking part in The Earth Room with such an incredible team! Recent regional credits include Wit (Hub Theatre), Julius Caesar (Praxis Stage), and Love’s Labor’s Lost, and A Midsummer Night’s Dream (CSC), and the upcoming Move Your Face (Boston Theater Company). Grace hails from Charlottesville, Virginia, and holds a BA in Theatre from the University of Vermont. She is also the social media and marketing coordinator for Artists’ Theater of Boston. Scot Colford (George) most recently appeared as Dr. Jim Bayliss in All My Sons (Praxis Stage). Other Boston-area appearances include Blood on the Snow (Old State House), That Time the House Burned Down (Fresh Ink), The Love of the Nightingale (Hub Theatre), Shiver (Project: Project), Gay Shorts 2: We Are Family (Open Theatre Project), La Cage Aux Folles (The Umbrella), and Fire On Earth (Fresh Ink). Notable regional work includes Cloud Nine, The Elephant Man, and A Christmas Carol at Human Race Theatre Company in Dayton, Ohio. A native of Ohio, Scot holds a B.F.A. in Acting from Wright State University. Mal Malme (Jitterbug) is out of this world about working with Fresh Ink again, after being part of several workshops in recent years, including The Earth Room. Mal is co-founder of Queer Soup Theater, currently touring The Pineapple Project, a play for kids celebrating gender diversity, developed and performed by Mal and Becca A. Lewis. Mal has also worked with Speakeasy Stage, Company One, Boston Playwrights' Theatre, and The Theater Offensive. By day, Mal is Dr. Mal Adjusted, a professional healthcare clown with the Laughter League at Boston Children's and Hasbro Children's Hospitals. Mal thanks Marge Buckley for writing a play with a trans/nonbinary character and is grateful to be part of this adventure! Mal is honored to be a member of StageSource and part of their Gender Explosion Initiative. Jane Reagan (House) makes her Fresh Ink debut with The Earth Room! Recent credits include 1776 (Samuel Chase/US John Dickinson) with New Rep Theatre, Animal Farm (Squealer) and A Midsummer Night’s Dream (Helena/Cobweb/Mechanical) with Classic Repertory Company. Beyond acting, Jane is also passionate about theatre education, and is a member of the Acting Ensemble at the Bread Loaf School of English with Middlebury College at their Santa Fe campus. Jane holds a BFA in Acting from Emerson College. Marge Buckley (Playwright) is a playwright and actor originally from Centreville, Virginia. Their plays, including A Fable Regarding the Octopus, God is a Woman, and Anchortown, have been produced at Emerson College and through the NYC Fringe festival. Marge holds a BFA in Acting from Emerson College. Sarah Schnebly (Dramaturg) previously served as the dramaturg for the Huntington Theatre Company's Summer Workshop of Cells, written by Sam Marks and directed by Oliver Butler, and she will be dramaturging the upcoming reading of Lynne S. Brandon's At the Line, directed by Pascale Florestale at Boston Playwright's Theatre. She was the 2016-2017 Literary Apprentice at the Huntington Theatre Company, where she assisted with dramaturgy on A Doll's House, The Who and the What, and Topdog/Underdog. She graduated from Kenyon College in 2016 where she studied English and Film. Sloth Levine (Assistant Director) is simply delighted to be working with Fresh Ink again. They have previously collaborated on Nomad Americana, Mad Dash 2018, Seeing Eye for Ink Spots 2018, and the upcoming Boston Theatre Marathon. With Milky Way Coffee Roasters, Sloth directed, adapted, and designed Nosferatu, The Vampyr last Halloween at the Mosesian Center for the Arts. Other area credits include Wig Out! (Assistant Director, Company One), Men On Boats (Assistant Director, SpeakEasy Stage), and multiple projects with Brown Box Theatre Project. They’re currently in the Company One PlayLab Unit developing their penny dreadful epic The Castle of Ghoul Hammond and How It Fell Into The Void. Sloth is an advocate for transgender and non-binary theatre makers, you can find their writing on HowlRound and American Theatre or at www.stagesource.org/page/GenderExplosion. Special thanks to Rebecca, Louise, Hannah, and Marge.